ROTFL! New and Improved Graphics! Sprite show! Hello, everyone. Again, I`m KOC-316 and I`m coming to you with a new episode! It has new graphics! Improved voice editing check it out!! 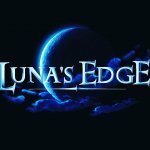 This is Luna`s Edge! Be sure to like, share, and subscribe! This is not a game! I repeat this is not a video game. It`s a sprite show on youtube using rpg maker. I`m saying this not to confuse people and also not to get banned by the higher ups. They be glued to people asses like spinal cords and carseats! Lol, please check this out! It`s good! Good story and it will suprise you! Check it out! Let`s go!!! Excuse My Gut - Winter Fitness Gaming Challenge So what is this? Well, a while back, I was getting requests to return to longplays. I didn't want to do it for a while because I was having fun doing themed quickplays, but I decided I would try something for the late fall/winter months. Basically what I'm doing here is I'm playing through a game in one hour increments and setting special rules for myself that cause me to have to pause and workout at regular intervals. The rules are as follows: - If I level up, I have to pause and exercise. If the same character levels up more than once, I have to exercise even more. - If I die, I have to pause and do a challenging exercise, i.e. burpees. - If neither of these happens for 10 minutes of gameplay, I have to pause and exercise. So in some cases I'm only exercising 6 times in a given video, but there have been instances where it's been 10 times or greater that I'm having to pause and exercise! I'm hoping to help people get and stay motivated to work out during the winter months when it's especially tough to even think about getting out of bed, let alone exercising. Furthermore, I'm helping to educate people about all kinds of exercises you can do from the comfort of your home with no equipment necessary. Sound good? Well, check out the first video in the series and let me know what you think... It's also important to note that the "current stats" section at the beginning will update as I improve at the gym as well. So in a way, I'm using this longplay challenge as a way to get myself into better shape as well. Gun Sage's Back to School Special! Why The Internet is Going to Hell in a Handbasket, and What We Can Do to Stop It. So I recently heard that last month yet ANOTHER royal YouTube screw up has made tons of people really mad. Yet another example of the automated system screwing up and screwing a lot of people over. Some big name people even. And people complained again loudly with seemingly little effect, until some of it was cleared up without even a peep of an apology or even any explanation for what happened. Same old story. This wasn't the first time, and it won't be the last. This isn't going to change. YouTube will continue to screw with people and people will complain but they won't really do anything to change it. They certainly won't leave YouTube or anything. They aren't going to risk their livelihood or audience and will continue to implicitly support the broken system even knowing that it is broken and knowing they are doing nobody any good supporting it. Because when it comes down to it, YouTube is a monopoly that can get away with anything. Except it doesn't have to be. See, this is the Internet. This is a system where anyone can, if they wish to, install Apache on a old computer and get their own web site online from their own homes. Not the best way to do it of course, for that you need either money enough to rent a server or to find some free web hosting site, not to mention DNS registration fees. But you CAN do it. Thanks to WebM and HTML5's video tag you can even host videos there, though again it would be slow and a hassle and no one is likely to find it. Of course, since it is slow and a hassle and no one will be able to find it, no one does that stuff anymore (except for "dark web" stuff I guess"). The thing is though, even big things like Channel Awesome which DO have their own site have always relied on external video sites for hosting videos. And I mean, fine, I understand why. WebM is a relatively new technology for one thing, and most sites just can't handle the type of load videos get. But the weakness of not hosting their own videos and ads and stuff is they rely on external sites for their content, and any problem or change will effect them and tfhey can't do much about it. They were counted with the ones who were having problems with YouTube's latest round of bullcrap after all. Ideally, what would be best is to have a YouTube-like site API that can work both as a host for people who can't do it themselves, and as a search engine/cache system for videos on external sites. A decentralized cache would speed up most videos while allowing everyone to host them where ever they want wouldn't it? There would be no need for any one corporation to control the whole system. Heck, it's likely this will happen to YouTube if an antitrust case is ever successfully built to challenge it, since this is kinda what happened to the bell system. The thing that sort of annoys me though, is that it's not just video that this trend has effected. All of a sudden, most people seem to have flocked to a handful of sites for everything. Facebook, DeviantArt, Twitter, Tumblr, and so on. These few sites seemed to have gobbled up most of the content on the web, and all are controlled by centralized corporations with their own rules and very little competition allowing them to do what they want how they want. Am I the only one who thinks that the "good old days" where everyone had their own little server somewhere where they could host whatever they wanted was a better system? Maybe, but we can't go back can we? I would like to see more general APIs and decentralized systems and less monolithic corporations. I do kinda think the time where corporations can thrive and do whatever they want is slowly slowly coming to an end, but they are not gonna go down quietly, and not without people who are willing to trade a bit of convince for freedom, at least in the short term. Following in the vein of my 2 spoopy collection, I want to do a winter/holiday/thanksgiving themed collection of quick plays. I've only just gotten started, but I have a lot of games archived up and ready to go. Sadly, most of these games aren't exactly holiday themed so much as they simply have a holiday backdrop. For example, Batman Returns for the SNES does technically take place during Christmas in Gotham, but it's not a "go to game" as far as holidays are concerned. There are more obvious titles I intend to tackle, such as Daze Before Christmas, Nightmare Before Christmas, Home Alone, and so on, but any suggestions whatsoever would be helpful. Like before, these are quick one hour plays. In some cases I may be able to beat the game in that time, but for most it's a way of showing off the game, good or bad, in an effort to help people get in the spirit of things and laugh in general. I'm also putting together a custom intro/outro for each game to make it a little more official. Any musical recommendations you have for that would be appreciated as well. I'll post more here when I have content to show. I have my own youtube channel and I have posted RPG Maker VX ACE videos in it. I have gotten in trouble for post links to my videos and channels in other RPG Maker forums. I did not see anything against it in the rules but I would like to make sure before I break any rules. Links, so you can stalk me!